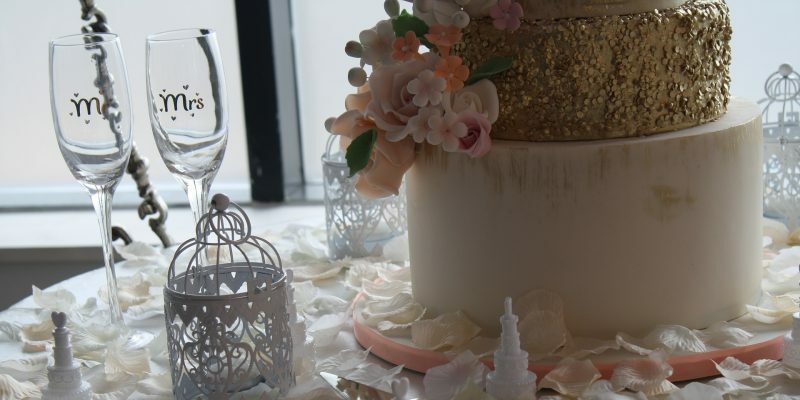 “Stacked, round wedding cakes are certainly the most popular and the round shape is said to symbolize eternal and endless love,” says Irene Chito, owner of Irene’s Celebrity Cakes. Plastic bride and groom cake toppers—out. Personalized toppers—in. “Many couples have a die-cut image made of them in silhouette.One silhouette was of a bride and groom with their dog! Or they are choosing to use monogrammed initials or fresh flowers. One couple chose super hero figures. As I recall, it was Wonder Woman and Superman.” Dolled Up Cupcakes is located at 6550 Meadowvale Town Centre, www.dolledupcupcakes.com. 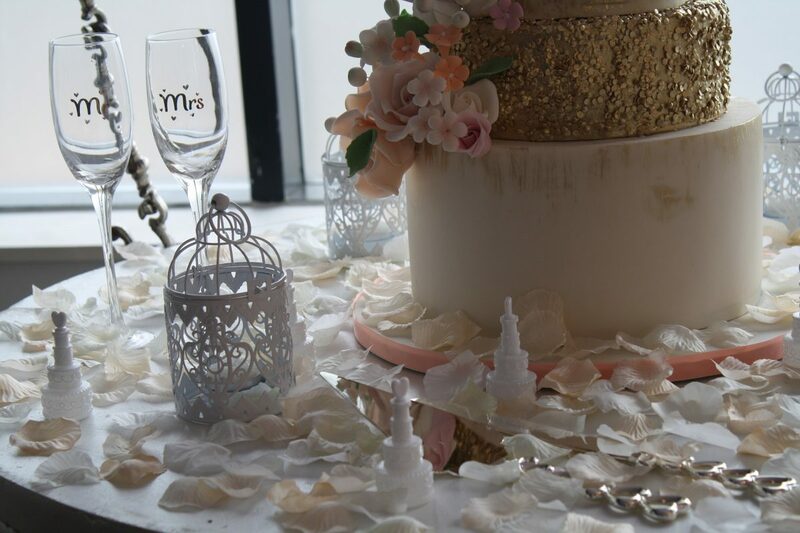 Brides and grooms are expressing their individuality in the design of the cake as well, according to Michelle Barreto, general manager of La Casa Dolce bakery. “We did one cake for a chef who was getting married, and he chose a garden theme with shades of baby blue, white and herb green in a naked cake which incorporated fresh herbs like rosemary, sage and oregano,” says Michelle. “Painted cakes and especially gold cakes are very popular, painted with edible gold paint or gold leaf. Marbled cakes are also on trend. But the number one choice for a wedding cake is the naked cake. It’s an unfinished-look which allows the cake layers and cream to show through, and when people see it, they comment, ‘ wow, that is going to taste great.’ People are definitely more intrigued by a naked cake than a fully dressed one!” La Casa Dolce is located at 755 Queensway Street East #101 in Mississauga, www. lacasadolce.ca.